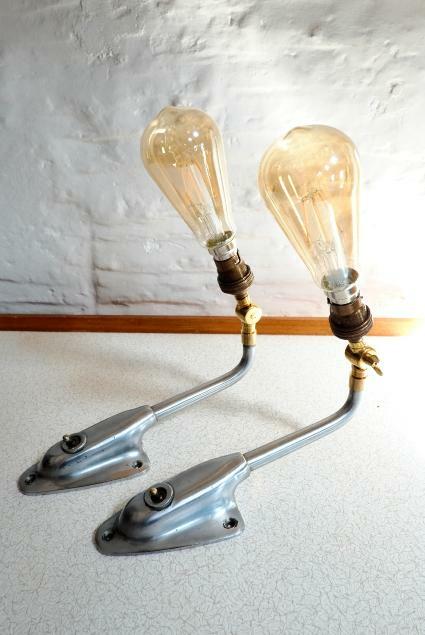 Circa 1960's or early 70's these lamps were fitted in train carriages, their simple, fluid shapes resemble the luggage racks of the same era and the station furniture like the BAMFORTH coat rack we also have in stock. 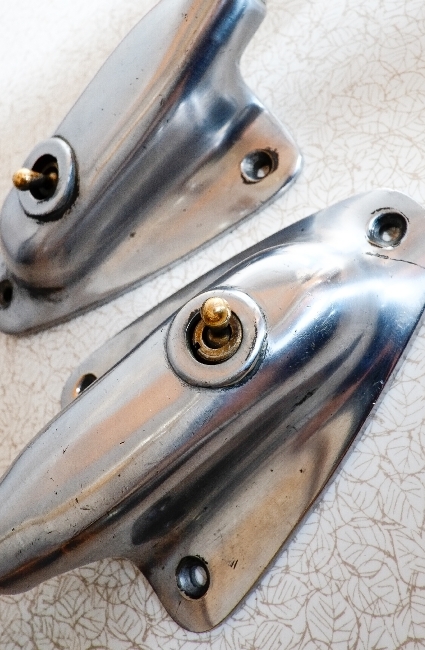 They came to us with damaged or missing light fittings which we removed. 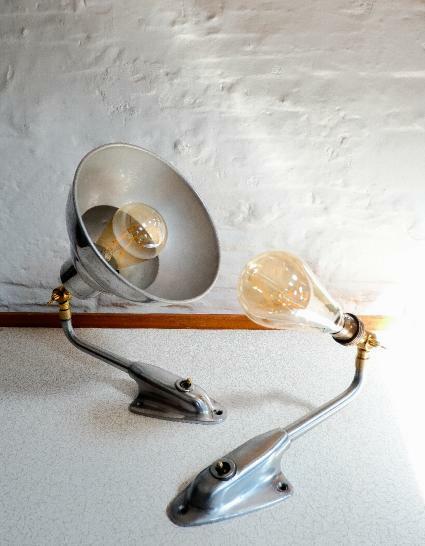 The organic shapes are weighty cast aluminium alloy, they feature a brass toggle switch at the base and a simple curved arm. 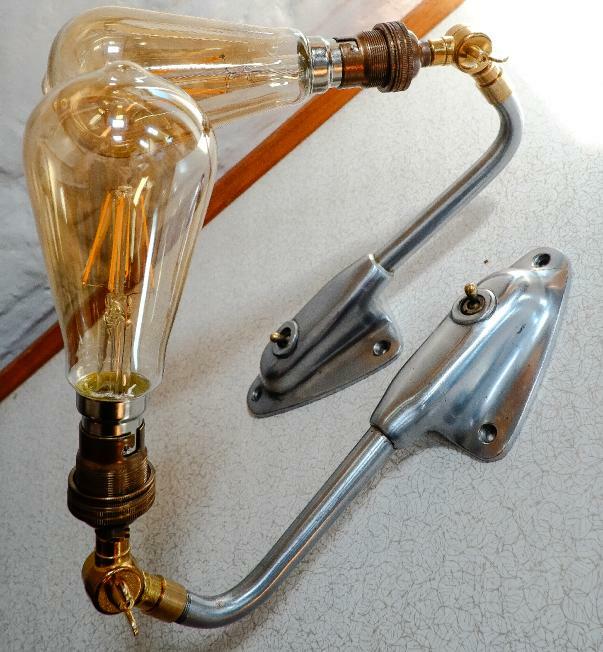 We have added a new brass 'Banjo' joint to each increasing the range of movement at the neck where a new, earthed bayonet bulb holder has been fitted. They are wired up ready to be fitted by an electrician to your mains supply. 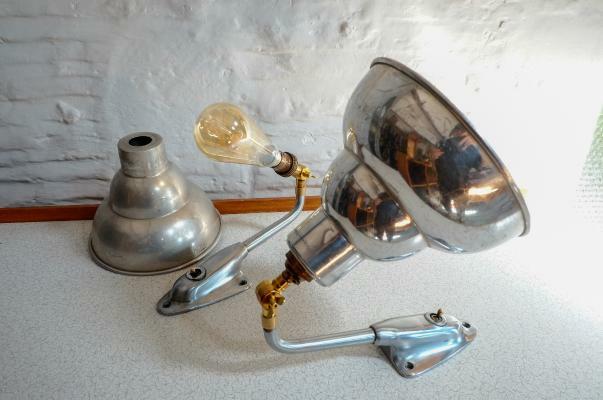 These work well on their own, with a feature bulb or in conjunction with a polished PHOTAX jellymould shade of the same era.